Most BMW and MINI air filters are enclosed in a plastic or metal filter housing (or box). On most models, the filter is accessed by separating the upper and lower (or left and right) halves of the housing, secured to each other via a number of spring clamps. Some models have a slide-out tray for the filter and some models secure the housing together with screws. 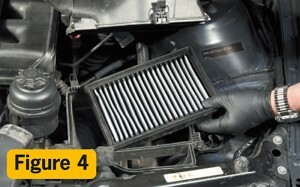 Follow along (below) as we replace the air filter on a BMW 3 series 99 thru 05 (E46 chassis), or watch the video at blog.bavauto.com. The applicable Bentley, Haynes or Chilton repair manual will show the details for your year and model. 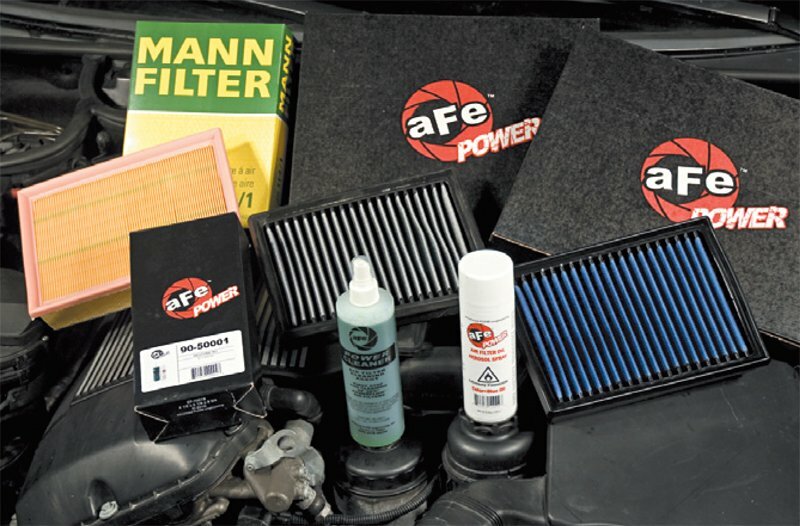 In this example, we’ll be installing a reusable (no-oil) aFe ProDry S filter. 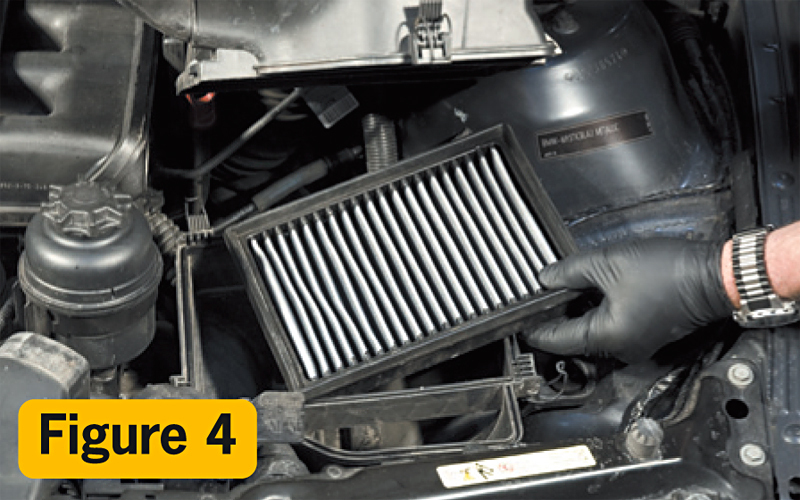 Check out the DIY video of the filter installation, above. 1. Release the five clips that secure the filter housing lid to the lower housing (fig. 1). 2. 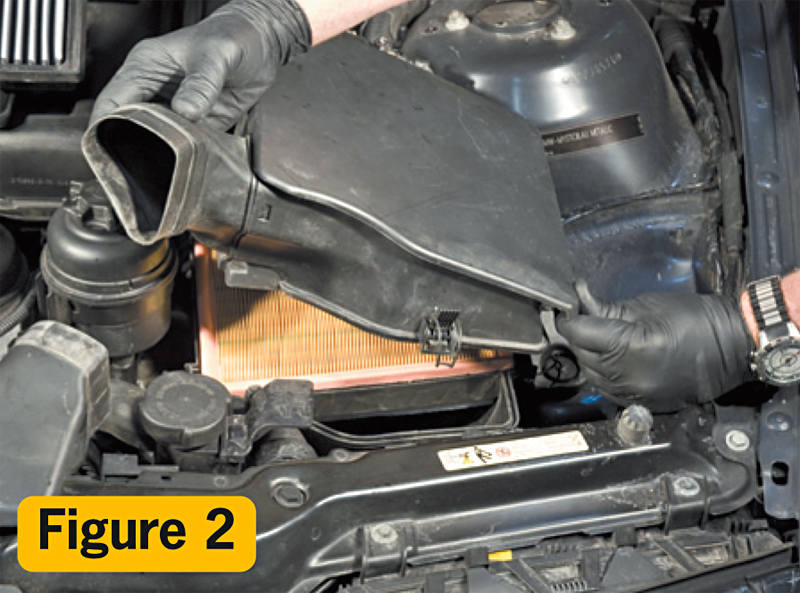 Grasp the air inlet snorkel tube where it slides over the cold-air inlet snorkel. Lift the front of the filter housing lid and pull the snorkel tube from the inlet snorkel (fig. 2). 3. 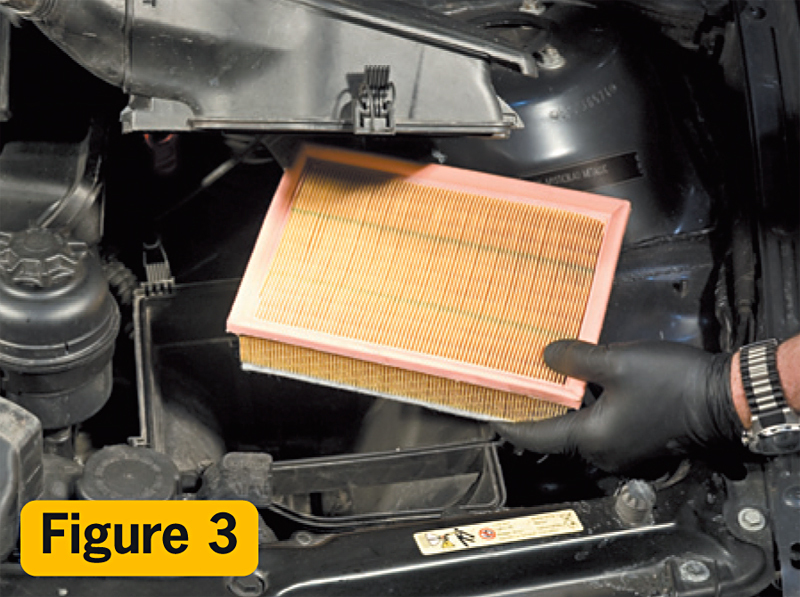 Lift the front of the lid a few inches then lift and pull out the air filter (fig. 3). 4. Install the new filter (fig. 4). connecting the snorkel tube to the inlet snorkel. 6. 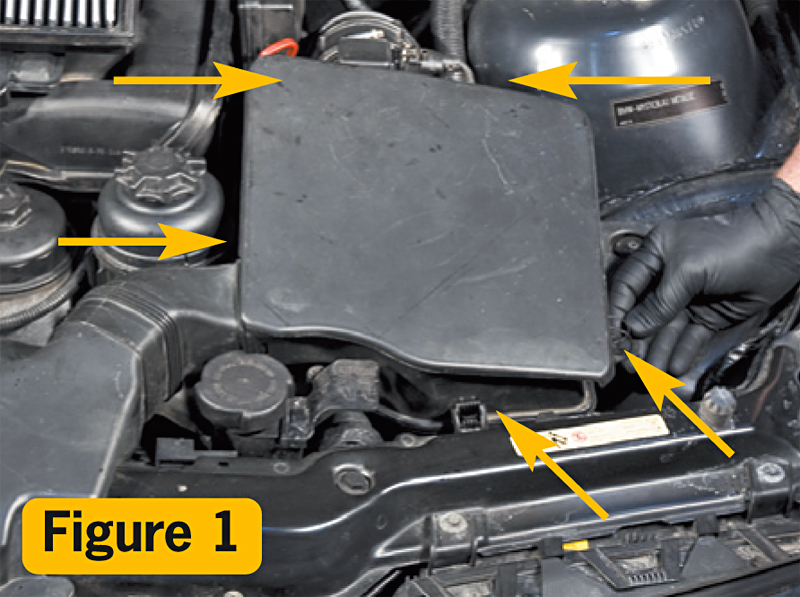 Verify that the lid is seated properly on the lower housing and fasten the securing clips.